McMurray Plumbing is a local plumbing company whose experts have been in the industry for over 15 years. Our reputation has grown on the basis of providing fast, friendly and exemplary service to all our customers. Feel free to give us a call today at 0404 400 200 and join the many Kenthurst residents who continue to enjoy our services. With a 100% completion rate in all of our projects, McMurray Plumbing is your best bet to ending the perennial plumbing nightmares. Plumbing emergencies occur all the time, often at times when we least expect them. For your blocked sinks and gurgling toilets, our team will use a modern light detector to locate the source of the blockage and flash it out. Our job is to leave you a satisfied customer by offering excellent services within the quickest time possible. Blocked drains and sewers can pose a health risk to your family and neighbours. Our team comes in with a snaking camera that allows us to identify the exact location of the block. Our ultramodern mechanical drain cleaner is then called in and chips away the blockage. For tougher root and grease clogs, our hydro jetter is called into action. You can never go wrong with McMurray Plumbing. We also are gas certified plumbers who will deal with the installation of new gas cooktops, gas heaters, gas water heaters and LPG gas bottle installations. Our experienced technicians also respond to gas leaks and will come in and identify the source of the leak and do the necessary repairs. 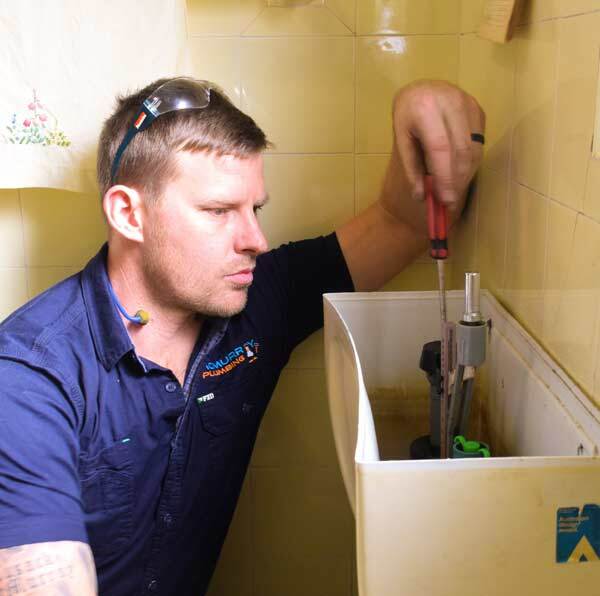 Having been in the business for over 15 years, McMurray Plumbing is your go-to plumbing services for all your hot water installations in Kenthurst. Do you have plumbing emergencies? Feel free to get in touch with us on 0404 400 200 and we’ll take care of all your plumbing needs.